Compact, wireless, and with a GPIO interface that allows you to hack pretty much any existing hardware, the Raspberry Pi is amazing. But it’s not the only amazing technology of the past 50 years. Home arcade games, color TVs, stereo systems, video players: at their time, these were also much loved pieces of technology. Perhaps you’ve got some kicking around in your loft, garage, or basement, waiting for its time to come again? That time is now. 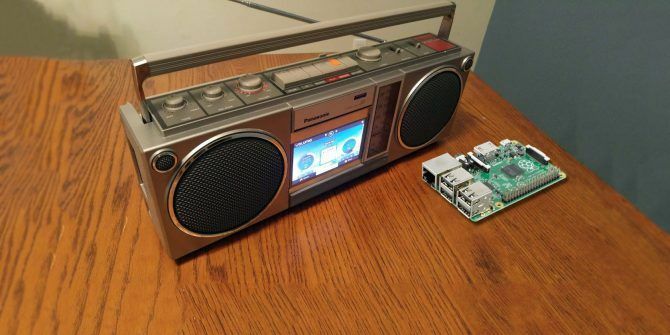 You already know your Raspberry Pi is awesome, so why not use it to turn your old tech into awesome tech? That’s the beauty of upcycling, and in this article, we’ll show you how a Raspberry Pi can be used in this way. We’re going to start with one of the most awesome Raspberry Pi builds you’ve ever seen. Built my Martin Mander, this is a 1975 Hitachi I-89-311 portable TV that has been repurposed as an information center. Content is displayed in full-screen Chrome tabs, with the tuning dial set up to switch between pages, rather than channels. 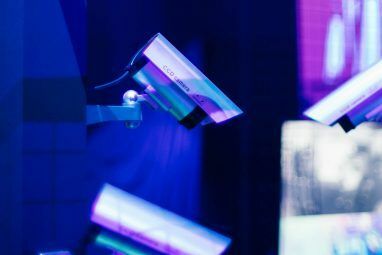 Along with adapting the volume slider to scroll up and down the page, the TV also features a PIR motion sensor, switching off the screen when you’re done viewing. Inside is a Raspberry Pi 3, some custom switches that facilitate the original TV controls, and a 4:3 8-inch display from Pimoroni. Check this Instructables guide for a full tutorial. Wife and I made an RPi MagicMirror out of a Victorian era lowboy dresser. Smart mirrors are a popular build for DIYers looking for a Raspberry Pi project. This example takes that idea and winds the clock back with a truly retro reflector. Its creator explains how he worked on the project for around three weeks, employing a two-way mirror, 32-inch flat screen display, and a Raspberry Pi 3. Additional wood was added to the 117-year-old lowboy dresser to support the weight of the display. Various views are on offer with this project, such as a calendar and weather report, news feed (RSS), and information from the household’s Nest box. The mirror also displays the current Spotify track, a picture of the moon showing its current phase, and a view of the earth from the Deep Space Climate Observatory Satellite. One of the most popular toys of the 1980s was the Tomy Turnin’ Turbo Dashboard, a mini car racing game with a mounted steering wheel and gear stick. Missing any significant digital components, the Turbo Dashboard relied on basic lights and a track that seemed to be mounted on some sort of reel. YouTuber and blogger CircuitBeard has taken an old Tomy Turnin’ Turbo Dashboard and combined it with a Raspberry Pi running Turbo Outrun. Seemingly a match made in 8-bit racing heaven, the build uses the original wheel, key, start button, and gear stick. Aesthetically, the only real difference is to the display, which is now a 3.5-inch TFT screen. However, inside you’ll find a Raspberry Pi 3, a PowerBlock PCB for handling the Pi’s power up/down requirements, and a Picade PCB to deal with the analogue steering wheel. Check the blog post for full details. Remember the 1980s? Perhaps you’ve seen it in movies, or nostalgic TV shows like Stranger Things. Or you maybe took the daily time travel from then to now. Whatever the case, a boombox—a portable, battery-powered cassette and radio player with powerful speakers—was a must-have piece of tech for many teenagers. Here, the original Panasonic device has had the cassette player replaced with a 5-inch touchscreen display, the batteries with a rechargeable bank, a compact audio amplifier, and a USB audio adaptor. The end result is a slightly ostentatious touchscreen digital music player with retro trappings. Find out more in the dedicated Reddit thread. Upcycled by Martin Mander is this, a Bang & Olufsen radio and cassette deck from 1979 that has been cleverly modernized. Inside now is a Raspberry Pi, speakers recovered from a cheap sound bar, an LED mood light, LED track display mounted on the cassette desk itself, and an AD557 digital-to-analogue converter to make the VU meters work (although not in time to the music). The end result is a wireless internet radio player that looks absolutely authentic! These days, any device can be connected to a car via the OBD-II port What Is the OBD-II Port and What Is It Used For? What Is the OBD-II Port and What Is It Used For? If you purchased a car after 1996, it probably has an OBD-II port. But what is it for, and how do you diagnose errors with it? Read More . But what if your automobile pre-dates OBD-II technology? In the video above, YouTuber 240SF demonstrates how to connect a Raspberry Pi 3 to a Nissan 240sx s14. The resulting digital dashboard displays live speed, RPMs, and coolant temperature. Using the Chromium browser, the dash is basically a Raspberry Pi Touch Screen How to Setup Your Raspberry Pi Touchscreen How to Setup Your Raspberry Pi Touchscreen The Raspberry Pi comes with a variety of useful add-ons, but one piece of kit that has proved particularly popular is the Raspberry Pi 7-inch Touchscreen Display. Here's how to set one up. Read More , which has the Pi mounted behind it, along with a 3A car power supply/switch, complete with USB ports. This project requires a vehicle equipped with a Consult port—sadly, there’s no (easy) method to enhance analog-era cars in this way. Lovers of retro music players and mixtapes will be particularly interested in this build. With cassettes hiding NFC tags that are linked to Spotify playlists, this player contains a Raspberry Pi, an NFC reader, an amplifier, and a custom PCB to connect the physical buttons of the cassette player to the GPIO. The end result is remarkable. Using the MusicBox app, the Raspberry Pi connects to Spotify and loads playlists into memory, waiting for the prompt to play one. Each NFC tag is associated with a particular playlist, and pressing play on the tape deck will begin the song. Anyone who has owned a Polaroid camera, new or old, knows that they can be very expensive to run. Spotting a solution to this, DIYer Tim Alex Jacobs took a 1980s Polaroid Sonar Autofocus 5000, and fitted a $3 thermal printer into the photo dispenser. Along with this, the upcycled device features a Raspberry Pi Zero and Raspberry Pi camera module 5 Things You Can Do with the Raspberry Pi Camera Module 5 Things You Can Do with the Raspberry Pi Camera Module One of the first expansions you should buy for the Raspberry Pi is the camera module. With a dedicated connector, the camera can be used for a variety of tasks. Let's take a look. Read More . Although some components were gutted, Jacobs retained some. For instance, the upgraded camera still relies on the same shutter button. Having spent some months on this build, Jacobs has managed to reduce boot time to just 2 seconds. We recommend you check his mammoth blog post for details on building your own. YouTuber Tinkernut demonstrates how he converted an old Teddy Ruxpin into an Alexa-powered smart teddy bear. Inside is a Raspberry Pi, a Raspberry Pi Camera Module, and a battery pack, as well as some audio hardware. This is complemented by a digital-to-audio converter, which syncs the movement of Teddy Ruxpin’s mouth to the audio. The end result is a Teddy Ruxpin that responds to commands, Alexa-style. Which should mean that like the original Teddy Ruxpin, it should tell stories. 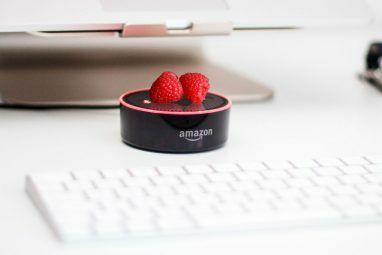 Alexa is capable of telling stories when commanded, but you should also be able to listen to Audible talking books, too! Perhaps the ultimate hack of all time is the one that repurposes a CRT TV as a retro gaming console with a Raspberry Pi. Not just any Pi, however: a Raspberry Pi Zero, small enough to actually fit inside the TV itself. Obviously, this project comes with a warning. Cathode ray tubes are dangerous for the untrained. There is a very real danger of fatal electric shock from one of these, so we would only recommend this project if you have full electronic knowledge. Once complete, however, you have a great retro gaming machine, with all of the games already built in! The project uses Retropie, one of several Raspberry Pi retro gaming suites Retro Gaming on the Raspberry Pi: Everything You Need to Know Retro Gaming on the Raspberry Pi: Everything You Need to Know The Raspberry Pi has plenty of uses, but perhaps the most fun is playing classic video games. Here's everything you need to know about retro gaming on your Raspberry Pi. Read More . Raspberry Pi Is Perfect for Upcycling Old Devices! Perhaps you have an old 8-track cartridge system that could be augmented with modern technology? Fancy bringing a 1970s VW Camper up to date? Whatever the case, your Raspberry Pi can be front and center of any modern enhancements you give to old technology. 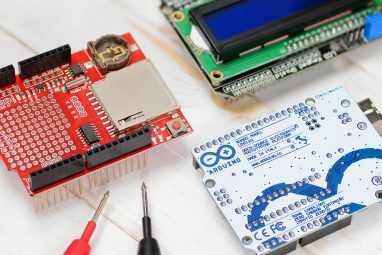 Whether you’re into thrift and upcycling, or just want a great new project for your Raspberry Pi 20 Awesome Uses for a Raspberry Pi 20 Awesome Uses for a Raspberry Pi With so many cool projects for the Raspberry Pi, it can be hard to decide what to make. In this mega guide, we round up 20 of the very best projects around! Read More , there should be something in this list to get you thinking.